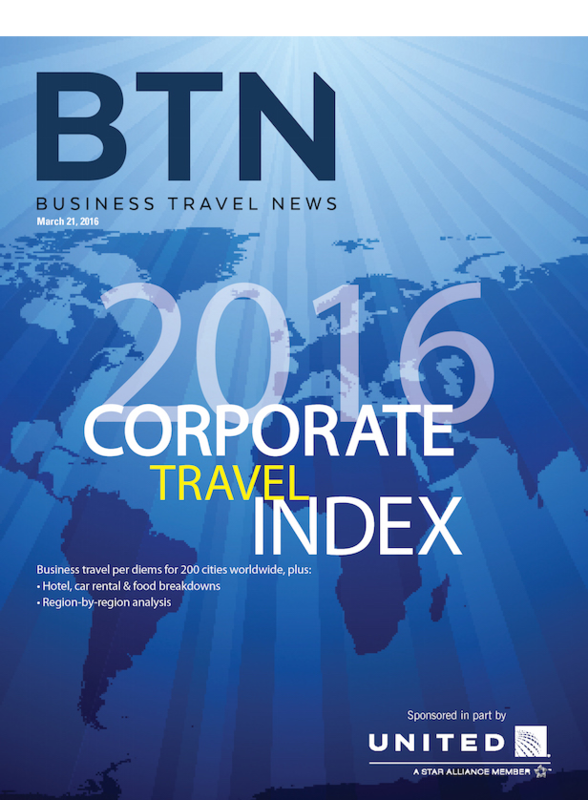 2013: Latin America Biz Travel Moderates, Turmoil in Europe & Moderate Growth in Asia & U.S.
For BTN’s 2016 Corporate Travel Index, the 32nd annual, BCD Travel’s Advito provided the average hotel and car rental costs paid by BCD corporate clients, BTN collected hotel taxes and surcharges from hotels, and eight New York University School of Professional Studies Advanced Research Seminar students, led by academic chair and clinical assistant professor Lynn Minnaert, called restaurants in October and November to gather meal prices. For U.S. cities with an annual gross domestic product above $95 billion, researchers surveyed three chains, six independent restaurants identified via TripAdvisor and three hotel restaurants for breakfast. They called six chains and six independent restaurants for each lunch and dinner. For smaller cities, they surveyed two independent restaurants and one hotel restaurant for breakfast and three chains and three independent restaurants for each lunch and dinner. Sample chains for breakfast include Denny’s, IHOP and Starbucks; for lunch Chili’s, Applebee’s, Panera Bread and Olive Garden; and for dinner LongHorn Steakhouse and Olive Garden. For non-U.S. cities with populations of more than 1.5 million, they surveyed 12 restaurants for each lunch and dinner, and for smaller non-U.S. cities, they called six.